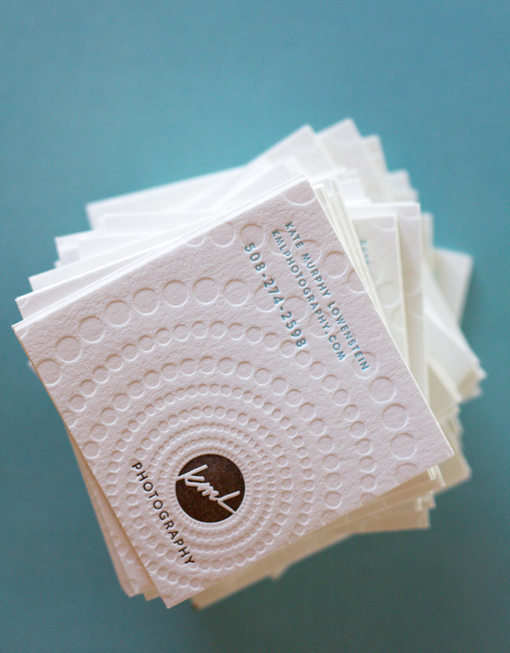 Designed and printed by Dingbat Press, these cards were done as a branding package for Kate Murphy Lowenstein. Her cards are 3/0, letterpress printed on 110# lettra with blind impression and a 2 color Pantone Match. Other pieces included letterpress business stationery and letterpress CD/DVD cases.